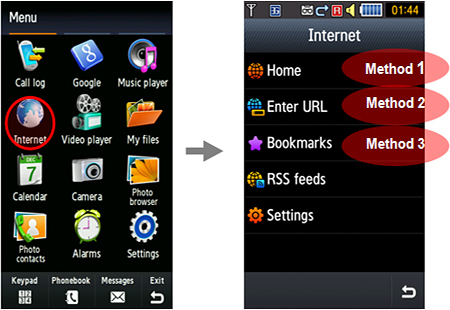 How to access the internet site on GT-S8003? 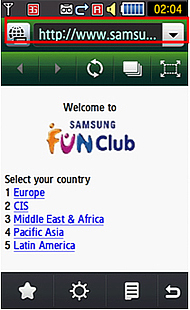 You can enter URL address you want to access and go to that site directly. You can select a bookmark you want to access and go to that site. ★In browsing screen, you can touch address input field and put URL address you want to access and go to that site.